“Battle of Vimy Ridge 1917. Canadian Machine Gunners fire on retreating Germans”, 1919. Alfred Soden English Collection, CCGW. Yesterday, 9 April, was the 98th anniversary of the first day of the Battle of Vimy Ridge. Vimy has now become both a rallying point for the Canadian experience of the First World War, and a point of contention as historians argue that there is so much more to the war than Vimy and that as a result of its popularity, other equally as important battles fought by the Canadian Corps are overlooked. I am of two minds on the subject; Vimy is in many ways ubiquitous, like McCrae’s In Flanders Fields and like many frequently exposed things runs the risk of becoming trite. But, Vimy is also tremendously important to the later successes of the Canadian Corps. Without the lessons learned at Vimy (and most of those learned from mistakes in the previous two years) and the style of fighting developed by Byng and Currie, it is doubtful, to my mind at least, that the Canadian Corps would have had the victories that they did. That is certainly not to say that the years following Vimy were without disasters; the attack on Lens, a now almost completely overlooked chapter of the larger Hill 70 battle in the summer of 1917 was largely a bust, with high casualties for little result, and even the pushes for the Canal-du-nord and the Drocourt-Quéant Line were never assured successes. Vimy at least prepared the Corps and especially its commanders for what would come next, and allowed them to turn difficult and even impossible situations, like the Canal-du-nord, mostly in their favour. Casualties were not much reduced, but they were no longer for several yards of mud and the men seeing their friends wounded and dying could perhaps take some comfort that they were achieving something, even if it was at great cost. Vimy was the triumph of a volunteer army, led in part by a real estate agent and conducted in a way that reflected the flattening of command; as is commonly known now, every man received a map and every man was drilled in his objectives and the terrain so that he could respond quickly to fluid battle conditions and even take charge if necessary. 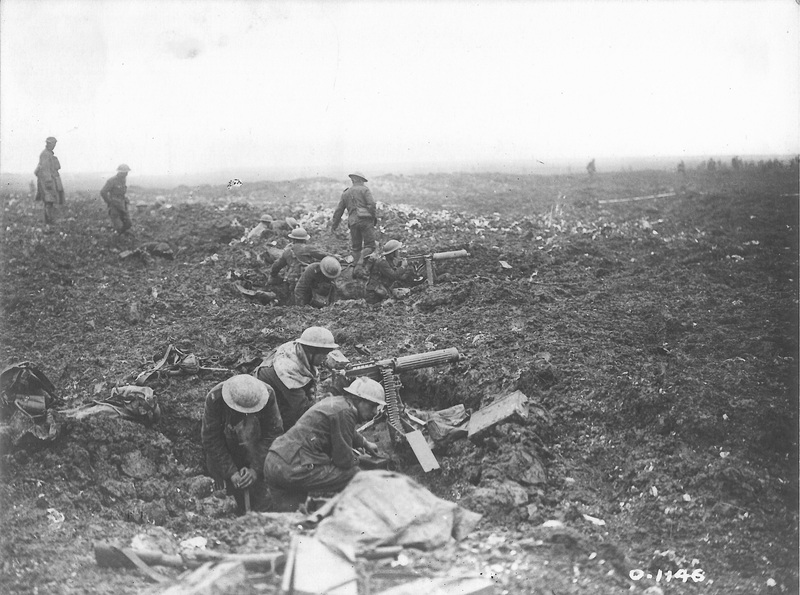 Currie was not a flashy or a military man and his preparation for Vimy reflected this; he and Byng planned the battle to the minute, knowing that if the Corps was to have any hope of succeeding against the vastly superior German positions, they would have to be protected from enemy fire and able to reach their objectives and dig in as quickly as possible. This was not planned to be a breakout, or the opportunity for a cavalry charge, but rather an operation that reflected the machine-like nature of modern warfare; advances timed to co-operate with co-ordinated artillery fire and making use of all of the technological advances available, including sound ranging, flash spotting and aerial observation. It’s hard to imagine how Vimy must have affected Canada at that time; losses alone were over 3 000 men and all four divisions fought there, meaning that if you had a son or a father or a friend in the infantry, chances are they had to get through Vimy Ridge. Like the Somme, Vimy was a largely open secret, and people at home certainly knew of another “big push” in France, if not the exact date. I can imagine the stress in Canada as people across the country waited for news of their loved ones and to see if the ridge had finally been taken. Perhaps it is best to remember Vimy in this light, not as a “ra ra” patriotic event, or an over exposed example of how modern media, historians and governments select one event over another as worth celebrating, but as a moment, like many others during the war, that touched Canadians across the country in a way that we can only hope to imagine.